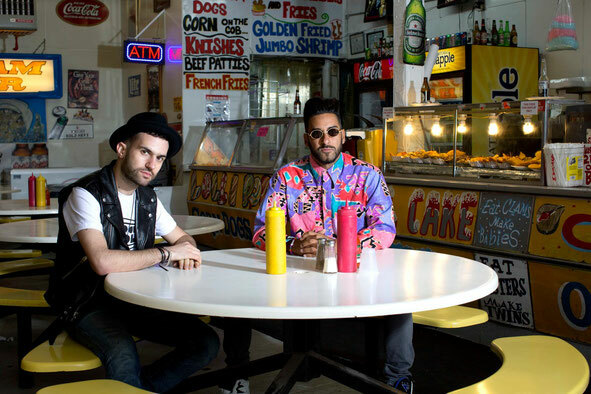 Duck Sauce, the veteran New York DJ team of A-Trak and Armand Van Helden, will be releasing their full length studio debut ‘Quack’ on 29June 2014. The album is fueled by the duo’s strong connection with New York hip-hop, Chicago house, disco, slapstick comedy and… UFOs. Tightly knit with skits worthy of early De La Soul records, ‘Quack’ is a fully immersive journey into the land of Duck: euphoric loops, mixtape cut-and-paste and conspiracy theories abound. The duo first splashed on the scene as Duck Sauce in 2009, releasing the breakout hit ‘aNYway’, a refreshing return to disco-house at a time when electronic music was essentially a distortion contest. The following year came ‘Barbra Streisand’, with a So-Me directed video that possibly became one of the most talked about cultural phenomena in dance history. With cameos from Kanye West, Pharrell Williams, ?uestlove, DJ Premier, Chromeo, Santigold and Ezra Koenig of Vampire Weekend, the song and video exploded, amassing millions of views on YouTube in just months (now at over 70 million), landing at #1 on charts all over the world, finding its way everywhere from shampoo commercials and video games to being covered on Glee and landing a Grammy nomination. 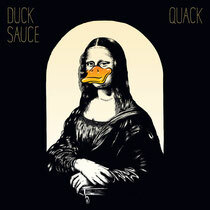 In 2011, Duck Sauce returned with ‘Big Bad Wolf’ whose VMA-nominated clip (10 million views) managed to ride the line between crude shock value and ethereal surrealism. 2013's ‘It's You’, an orgiastic barbershop revelry (6 million views) earned them yet another VMA nod. As the anticipation grew for their debut album, they released the Duck Tape mixtape as arguably one of the year's most critically lauded BBC Radio 1 Essential Mixes. It’s out 29 June on 3Beat Records, check the album teaser video below.